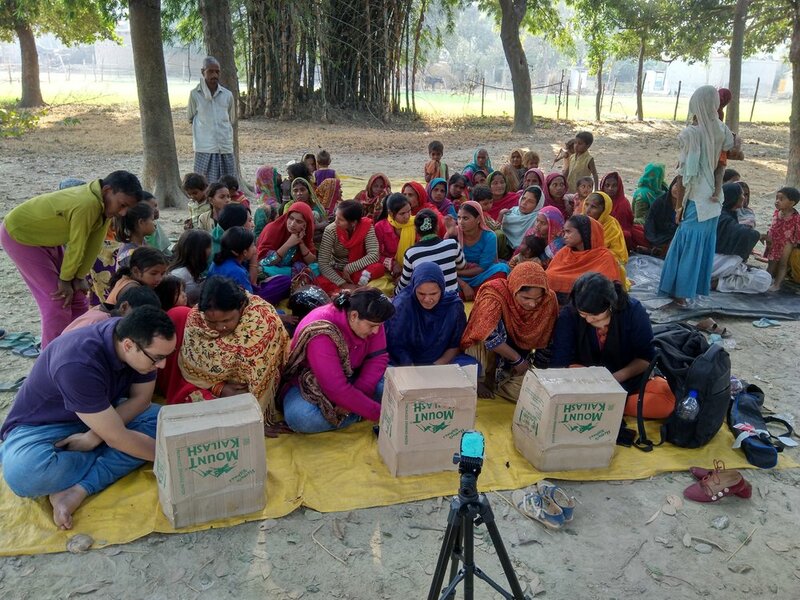 Women in Bahraich, Uttar Pradesh, guided by IDinsight Associates Andres Parrado and Ishita Batra, share their preferences on banking, savings, and loans as part of data collection. An initiative of this partnership is to work on financial products and services and inform financial inclusion policy. The AMAL Unit's financial services for the poor (FSP) team seeks to identify operational and behavioural levers to increase the uptake and usage of financial products and services among the poor across the 27 NITI focus districts. The team also aims to inform national and/or state financial inclusion policy. The team is working on select Government of India financial products which include: PMJDY accounts, Atal Pension Yojana, Mudra Loans, Pradhan Mantri Jeevan Bima Yojana, Pradhan Mantri Suraksha Bima Yojana. Increasing use of bank accounts - The AMAL FSP team conducted an evidence review to identify key barriers to sustained use of bank accounts and designed “nudges” to address these barriers. Consequently, the team has conducted prototyping exercises to further develop these nudges which will target low usage of bank accounts (to save) among beneficiaries in the NITI focus districts. Financial communications - Awareness of financial products and schemes (such as insurance, credit and pension) is low across the NITI focus districts. The FSP team has conducted formative research and preference elicitation to support creation of financial communication materials (e.g. posters) to improve awareness, motivation, and use. The next step is to test and improve the efficacy of financial communication materials to increase uptake and usage of the selected schemes.